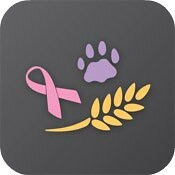 Want to help save animals, cure breast cancer and relieve hunger? There's an app for that: Touch to Give. It's a simple premise, you just download the (free) app, select your charity of choice and click to 'donate' -- the beauty is that it won't cost you a dime! All contributions are generated by advertisement sales and The GreaterGood Network has stated that 100% of the proceeds go towards the charity of your choice. Sweet... now, get touchin'!